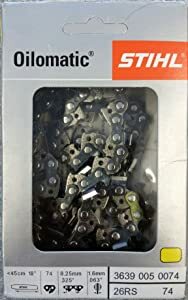 So it is time to replace the chain in your chainsaw and you are confused about which one to buy. Do you buy a chain from your chainsaw brand or do you look for a different brand. With the many chain producers in the market, you will definitely be faced with a tough choice. Even with a quality chainsaw, its performance is only as good as the chain it is using. You therefore need a chain that will make your cutting fast, easy and quality. A bad chain in a chainsaw can also be dangerous to the chainsaw operators. 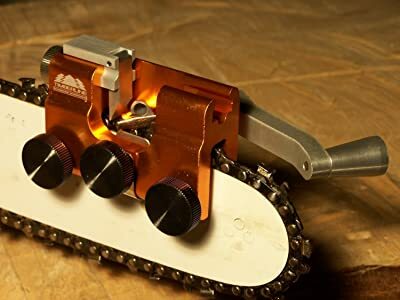 When the above problems occur, it’s time to sharpen your chainsaw or get yourself a new chain, which is why you always need to have replacement chains and sharpening kits nearby. When you try out different chains, you will realize they are made and designed differently. You will also realize that they are meant to be applied differently. So it is always good to have a chain suited for the specific work you are doing. Also, make sure the chain can handle all types of trees regardless of hardness. There are many brands of chains in the market, but we are going to review three brands Stihl, Husqvarna and Oregon. We are going to look at their features and functionality, and we will determine the best chainsaw chain brand. The Stihl brand is made by Andreas Stihl AG & Company. This is a German company specialized in making chainsaws, blowers, trimmers and their accessories. Founded in 1926, the company was among the first innovators in chain saw production. It is currently the number one selling company of chainsaws in the world. It also prides to be the only manufacturer of chain saws that makes its own guide bars and chains. According to the company, they use a patented oilomatic lubricating feature in their chains. With this technology, every component of the chain is engineered in a way that maximizes the use of the bar oil. The grooves in the chains are made to channel oil to critical areas that may wear quickly. This is made to reduce stretching and extend the chain’s life. They are made to minimize the number of teeth, meaning there are few teeth to sharpen. The low-kickback chains are very slow compared to other models. Husqvarna is made by Husqvarna Group, a company that makes outdoor power products like chainsaws, mowers, trimmers and garden tractors. Founded in 1689 in Sweden, it is a European leader in the sale of garden watering products. The company is also a global leader in diamond tools and cutting equipment. Their chains are said to be made with advanced grind geometry that guaranteed high speed and sharpness. The low kickback chains are made in a way that ensures performance is not reduces. Despite being a great name in cutting equipment, Husqvarna does not perform very well with chainsaws and chainsaw accessories. Most of their chains are said to work well for the original products, but replacement chains are not the best. 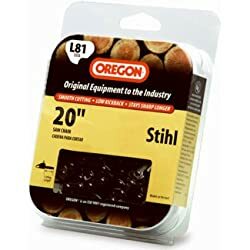 The world famous Oregon brand has been in existence since 1947, and it is usually seen in guide bars, saw chains, forestry accessories, sprockets and outdoor equipment. The products are produced by Blount Inc., a company headquartered in Portland, Oregon, and they are manufactured in the US, Brazil, China and Canada. For chains, sprockets and guide bars, it is the world’s leading manufacturer, being the preferred brand in more than 100 countries. With the chains, the company aims to hold a leading market share position while maintaining a competitive advantage. They have been used as original equipment in many chainsaw brands. Great variety of chains– they have chains for almost every brand and make of chainsaws. They also fit very well. They require lots of sharpening and the sharpening is not really effective. Some dull brands are said to work better than a sharpened Oregon. From our analysis, Stihl seems to be the best brand of chainsaw brands. This is based on their performance. The fact that they stay sharp for long and deliver a smooth cut makes them the ideal saw chains. They also seem to be the most reliable. The only problem is their high price. If you are looking to save up on cost, Oregon may be the best for you. Another great thing about Oregon is that their products are readily available. So it will be easier for you to find an Oregon replacement chain compared to the other brands. If you choose Oregon, you will also love the wide variety of models that can fit perfectly into any chainsaw brand. For Husqvarna, the original chains that come with Husqvarna chainsaws are great but if you are replacing you need to choose either a Stihl or an Oregon. You will, however, love the Husqvarna because with a good chain, all you need to do is sharpen and it will be as good as new. This will save you the cost of replacing. The fact that they don’t stretch a lot means that you will not need to do frequent adjustments. And while replacing, make sure you don’t buy the chains that are sold in boxes in the general store. Most of them are usually useless regardless of the brand. 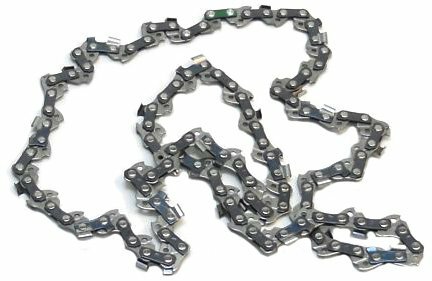 The best place to buy replacement chains is from the reputable chainsaw shops. Most of these shops sell to loggers, and there is a high likelihood that you will get a quality product. A good chain is also useless if you don’t take care of it. So make sure you do routine maintenance. Always keep it clean. Also, make sure the chain tension is tight enough, and the teeth are sharp. While cutting a log on the ground, make sure you don’t dip the cutting bar in the dirt. 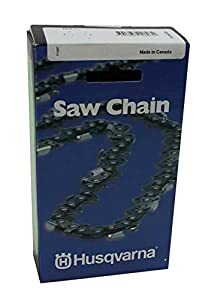 Finally, the right way to know the best chainsaw chain is to use several chains. Try out different brands and see what works for you.